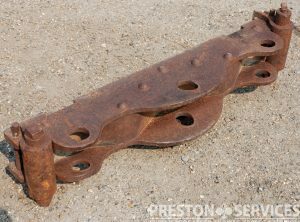 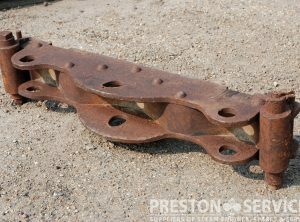 Pair of brackets for holding steering gear and shaft. 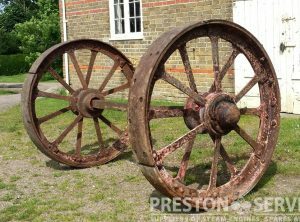 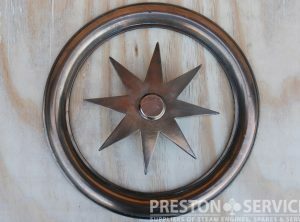 Suitable for a 6 or 7 HP traction engine. 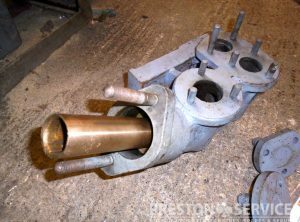 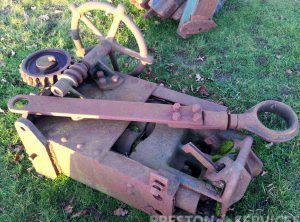 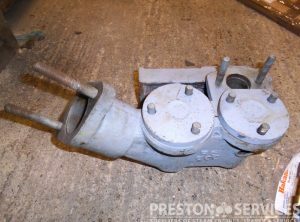 An original boiler feed pump from a 1917 Aveling & Porter BS Class 6 NHP Steam Roller, for sale in reasonable conditional complete with covers, clacks, plug valve and plunger. 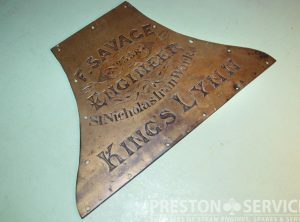 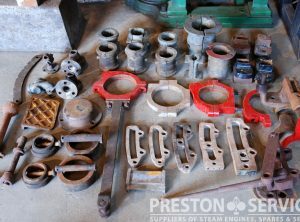 Various traction engine spares available, including: eccentric straps, valve gear con rods, regulator and gear chance parts, various bronze bearings and bearing caps, boiler clack valve fittings, etc, etc. 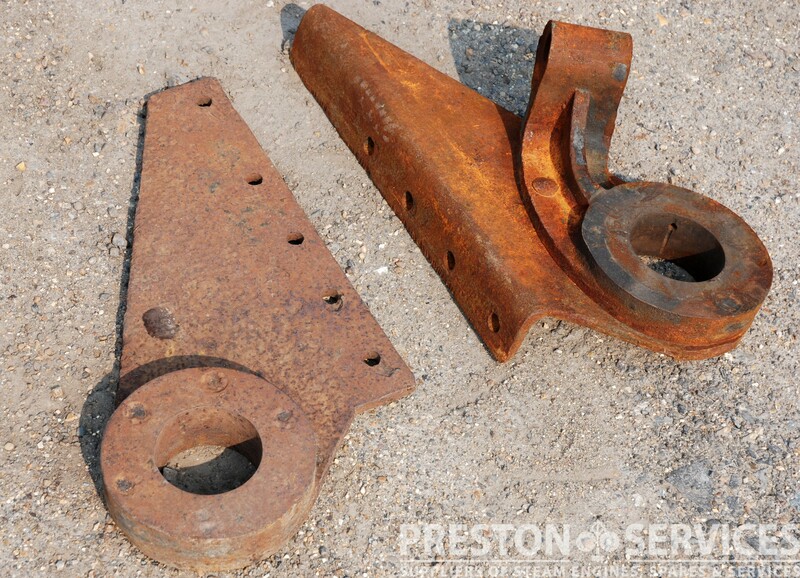 1x cast differential bevel gear/axle remains. 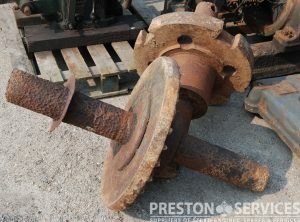 1x Fowler nearside wheel locking hub/axle remains. 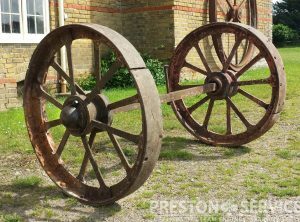 Both suitable for approx 8 NHP traction engine. 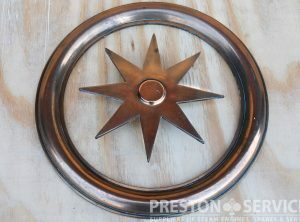 Complete unit in cast steel. 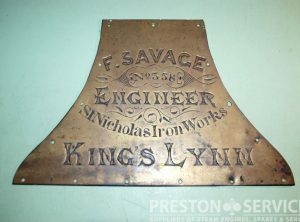 Suitable for a traction engine over abt 6 NHP.